Earlier this week it is estimated that over a billion people from across the world celebrated Earth Day! This year Earth Day’s theme was “Protect Our Species”. We were encouraged to do our part to protect endangered animals. One of the ways we can do this is by reducing our use of plastic. When it comes to plastic, small changes can have a big impact on these animals, as well as the environment. 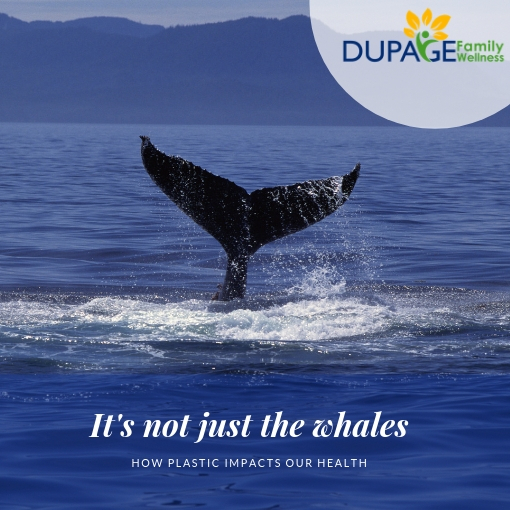 In addition, reducing our use of plastic can have a great impact on OUR health! Our culture’s reliance on plastic is having a major impact on the environment. Many people do not think about the fact that plastic is made from crude oil. The manufacturing process emits a substantial amount of pollution and, once created, plastic is not biodegradable. According to the Natural Environment website, it takes about 400 years for a plastic bag to break down. So how much plastic do we actually use? Across the globe it is estimated that we use over one trillion single use plastic bags each year. That means nearly 2 million plastic bags are used every minute! These plastic bags are believed to be responsible for the death of 100,000 sea turtles and other marine animals each year. But sea animals are not the only ones suffering from the effects of plastic! Bisphenol-A (BPA) and phthalates, are two man-made chemicals often found in plastic. These chemicals are considered to be endocrine disruptors. They can affect hormones, such as estrogen and testosterone. These chemicals are thought to be linked to chronic health conditions like heart disease, obesity, type 2 diabetes, and certain types of cancer. BPA and phthalates can leach into our foods when we store them in plastic containers. This is especially a concern when heating foods in plastic containers and when storing acidic foods. We are also exposed to these chemicals when we drink from most plastic water bottles. While these chemicals are not good for anyone, it is especially important for pregnant women to avoid these chemicals when at all possible! BPA exposure has been linked to birth defects as well as developmental disabilities. Exposure to these chemicals may also cause early puberty in children and increase their risk of either breast or prostate cancer as adults. There is also a link between exposure to these chemicals and hyperactivity in girls. In utero exposure may also affect a girls fertility as she matures. There are a number of interesting studies looking at the effects of prenatal exposure to these chemicals! A team of researchers conducted a fascinating study looking at the correlation between a mother’s exposure to phthalates during pregnancy with the baby’s development and IQ. To do this researchers collected a urine sample from the women late in pregnancy. The urinary metabolites of many chemicals (di-n-butyl phthalate, butylbenzyl phthalate, di-isobutyl phthalate, di-2-ethylhexyl phthalate and diethyl phthalate) were then measured. Urine samples were also obtained from the children (at both 3 and 5 years of age) and analyzed for metabolites of the same phthalates. The Wechsler Intelligence Scale for Children was administered to the children (at 7 years old). The instrument measured verbal concept formation, perceptual reasoning, working memory, processing speed, etc. Significant associations between exposure to these chemicals and the child’s IQ was found. Children born to women with the highest levels of concentration of these chemicals scored lower on 7 year IQ than children born to women with lowest concentration. Similar associations were also found with the children’s perceptual reasoning, working memory and processing speed. Reusable grocery bags: This article breaks down the environmental impact of plastic vs. reusable grocery bags. Wooden or metal straws: The use of wooden or metal straws can help reduce the plastic that ends up in our waterways and landfills. Reusable stainless steel or glass water bottles: Avoid the disposable plastic water bottles. As always, I don’t expect you to make all these changes overnight, but perhaps there are a couple changes that you are ready to make. Just make the next step that you can. Your body and the earth will thank you! Vitamin D is often referred to as the “Sunshine Vitamin” because your body synthesizes cholesterol into Vitamin D when your skin in exposed to sunlight. Many people think about their need for Vitamin D during the winter, but believe that they can get enough Vitamin D easily when it is sunny outside. For a majority of people in the industrial world this is simply not the case! 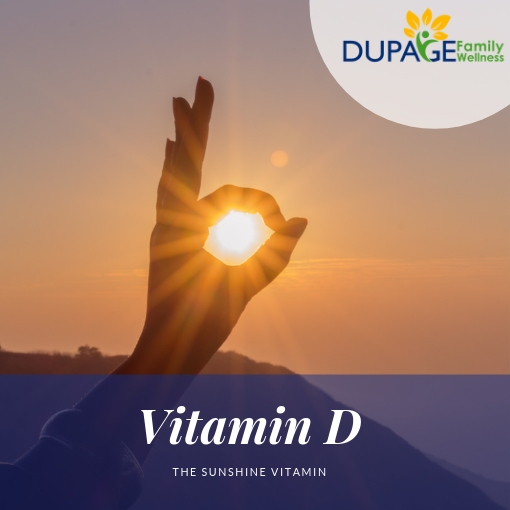 Unless a large amount of your skin is exposed to the sun for at least 30 minutes daily, there is a good chance that you are deficient in Vitamin D. While your diet can contribute to your level of Vitamin D, we were genetically designed get our Vitamin D from exposure to the sun. Most people living in northern climates can not get enough sunlight to produce optimal levels of Vitamin D. I like to think about how much time our ancestors used to spend outside, and compare that to our modern lifestyles. When you think about it that way, it is obvious that virtually all of us spend WAY more time indoors than our relatives generations ago. Everyone knows that exercise is important! But what if I told you that I was more concerned about the level of movement in your life, than how much you exercise? I know, it’s shocking! Our culture is so focused on exercise that we forget the value of simply moving throughout the day. We think that we are living an active lifestyle if we go to the gym regularly, however if we are sitting the rest of our day we are still living a sedentary life. What is even more surprising is that the negative effects of sitting are even apparent in those who exercise daily. 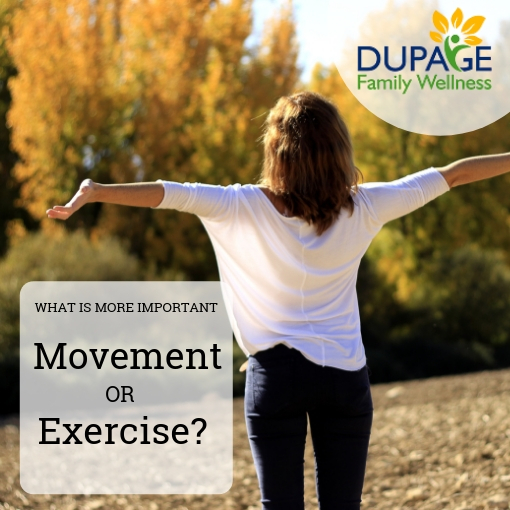 We need to change our view of movement and find ways to incorporate natural movement into each part of our day! 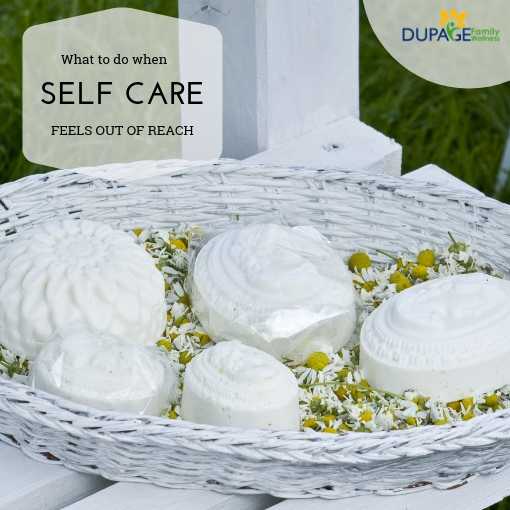 We’ve all heard that we need to make time for self care. We must “fill ourselves up” in order to have anything to give to others we are told. While some of us struggle with feeling guilty for taking time to ourselves, even those who don’t can find it very difficult to work self care into a busy lifestyle. Do a little self care exercise with me. Next take a couple minutes to think about what you would enjoy if you had a day, or even a few hours to yourself. Now think through some things that you enjoy doing when you have 5-30 minutes to yourself. Which category was the easiest to make? Most of us have many ideas about what we could do with a week of vacation, especially if a cook and nanny were provided! We can easily think about fun things to do on a day off or with a few hours to ourselves. While it’s fun to think about these things, for many of us those times are not a regular part of our lives. Waiting for the occasional vacation or day off can leave us feeling depressed, anxious and stressed. 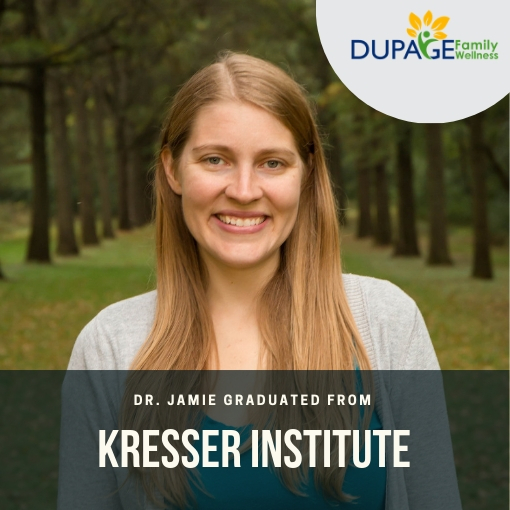 I am excited to announce my completion of the ADAPT practitioner training at the Kresser Institute. This was a year long training program in functional medicine. As a functional medicine doctor it is my goal to help you get to the root of your health concerns and lead you into a higher level of wellness. While conventional medicine often focuses on treating symptoms of disease, functional medicine helps to uncover underlying problems. 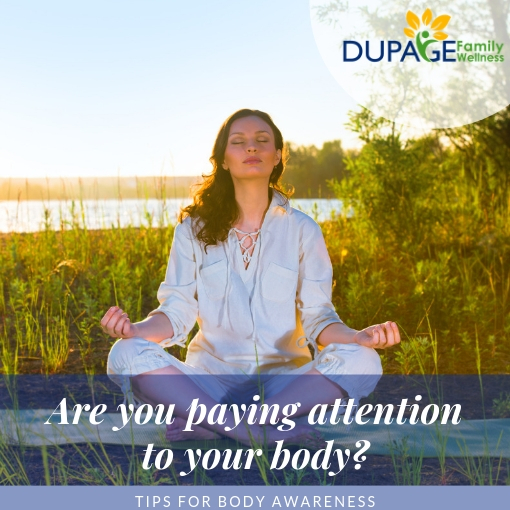 We honor the body as an interconnected whole, with a deep understanding of the impact that the environment has on an individual. I look forward to working with you whether you are battling chronic issues, facing a new health concern, or simply want to enhance your body's ability to stay well. Give us a call if you are ready to take those next steps towards health. We will support your body's ability to heal through natural treatments such as dietary changes, nutritional supplements, stress management, sleep, etc. Together we can discover what may be holding you back and what a holistic approach to your health can do for you! What is Dr. Jamie Learning Lately? Salt: Love it or Leave it?